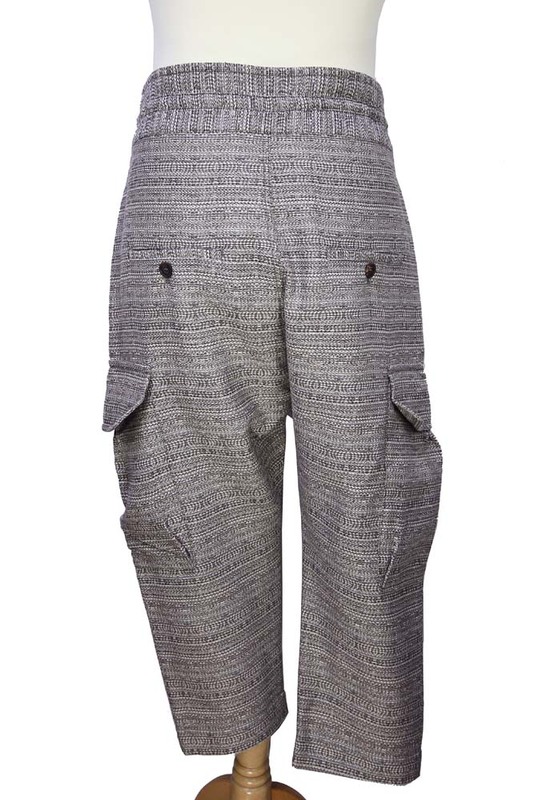 Vivienne Westwood Man London British woven cotton Samurai Trousers in mottled wide woven fabric. Wide waistband with drawstring. 2 slash pockets and 2 side thigh pockets with flaps. Cut-off style. To be pulled in so over-sized on waist.